What’s the Key to the Best Bagel? What could possibly be the key factor in getting the bagels that we serve just right? It’s our freshness, of course. Fresh flour, fresh water, fresh proofing, fresh baking and fresh seeds are just a few of the ingredients and ways that we ensure freshness in everything we make. There is a longtime customer who comes into the Bagel Bakery frequently who thought our bagels came in frozen. We quickly proved her wrong and even let her have a tour of the kitchen. She was shocked at how complicated the process is every day, but we assured her it is all worth it when we see the smiles on everyone’s faces. If you are having a less than amazing day, swing by the Bagel Bakery and hang out with us for a while. 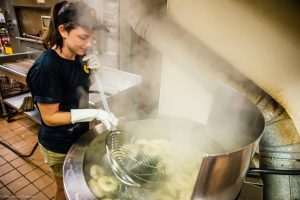 You can even watch the bagels mix and proof because we want to prove to everyone how fresh our bagels are. What does your bagel say about you? 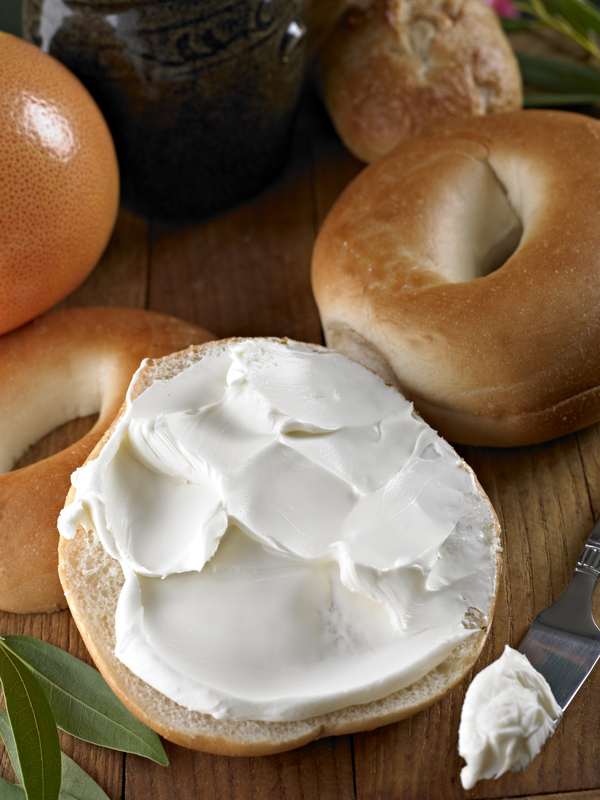 One of the best things about indulging in a breakfast filled with bagels is the endless flavor combinations that can be created by switching up your cream cheese or bagel. Do different bagels say different things about whoever is eating them? Plain bagel with plain cream cheese – This bagel is very simple, very organized. It’s safe to assume that this person likes to keep things consistent and doesn’t take too many risks. But hey, there’s nothing wrong with a classic! Cinnamon raisin bagel with salmon spread – This bagel is extremely unorganized. This person has trouble making up their mind and takes too many chances. They are probably the life of the party because of their care-free outlook and willingness to try new things. Everything bagel with hummus, cucumbers and sprouts – Chances are this person is super earthy and likes to maintain a healthy diet. They may be a little on the hipster side and may not make too many decisions. This person is probably very laid-back, but very opinionated. Plain bagel with cream cheese and jelly – If this person isn’t a child, they’re definitely a child at heart. This bagel is simple, but comforting and definitely one of the classics. This person is probably very optimistic and light-hearted. The possibilities are endless! There are so many different types of people in this world, no wonder there are so many bagels to fit all of them.